Deck the Windows. Hanging garlands with ornaments and pine boughs across your window’s top frame is a cute and smart way of sprucing up the aesthetic value of the room without taking up any floor space. 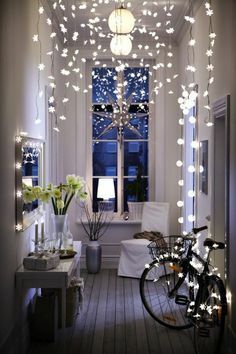 Depending on the style of the garland, you can enjoy the look from the outside as well. Utilize Your Coffee and Side Tables. Don’t have a grand dining table? Fret not. Side and coffee tables can actually be a great alternative in creating seasonal vignettes of all sorts without taking up too much space. 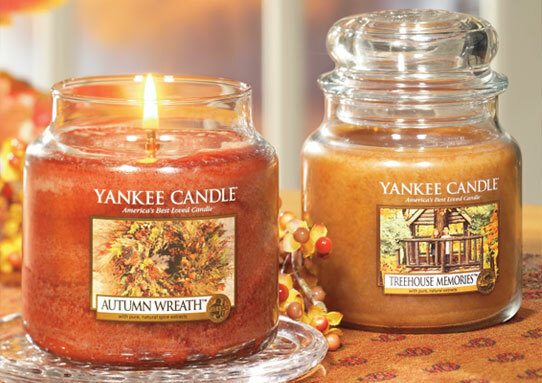 Bring in Some Christmas-y Scents. Being able to smell the holidays is just as important as seeing it. Light up scented candles or use oil diffusers in scents of gingerbread, pomanders, or pine boughs to fill your home with the essence of Christmas. 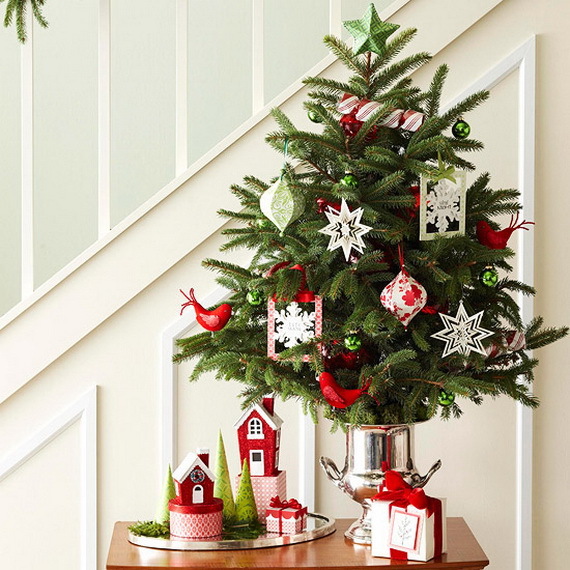 Opt for a Table Top Tree. Even if you won’t spend the holidays at home, it’s still nice to have a Christmas tree around. Something about putting up Christmas trees makes us feel all fuzzy and warm inside. So consider putting together a few branches for a Christmas tree posy, or invest on a mini-table top version. Glam-Up Your Front Door. Make sure to give your guests a warm holiday welcome by dressing up your front door. Anything from a DIY hanging décor or a simple wreath can already do the trick. Bring Out the Lights. Never underestimate the power of twinkling lights in spreading the holiday spirit. Framing the door frame with Christmas lights or bunching them up in glass jars is enough to melt even the Grinch’s heart. Sprucing up a small space is all about tasteful and strategic decorating. By choosing the right decor pieces, you’ll be able to beautify your place for the holidays without the burden of cramped up space.